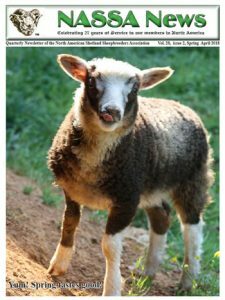 The Spring 2018 issue of NASSA News is now available to download from the Members Area of the Online Database website. If you are a NASSA member and have already set up your Members Area account, go to the NASSA News page and log in to see the link for downloading the latest issue. Or if you are a current NASSA member without an account for the Online Database site, go to the Membership Info page and click the “… become a Search Site member” link near the bottom of the page to set up your account. You will need to have a valid email address in your NASSA member information in order to set up your account.